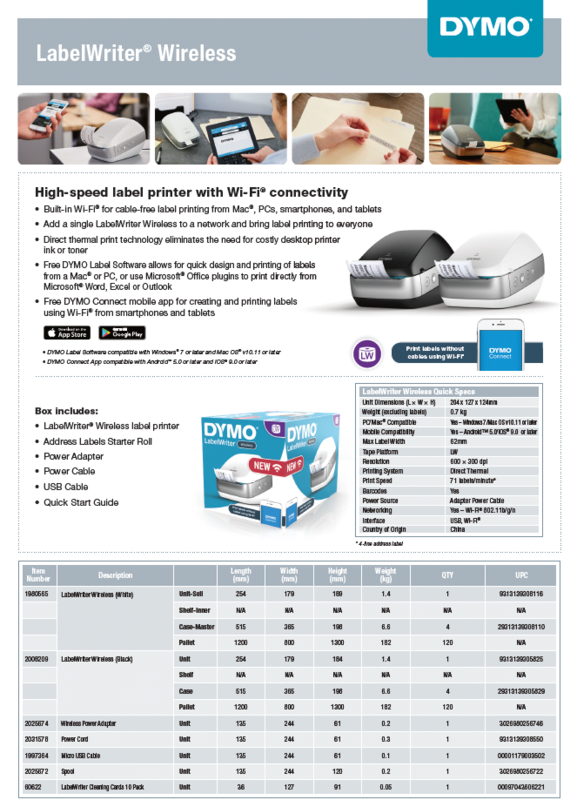 Dymo has finally released its own wireless label maker, the Dymo LabelWriter Wireless label printer. 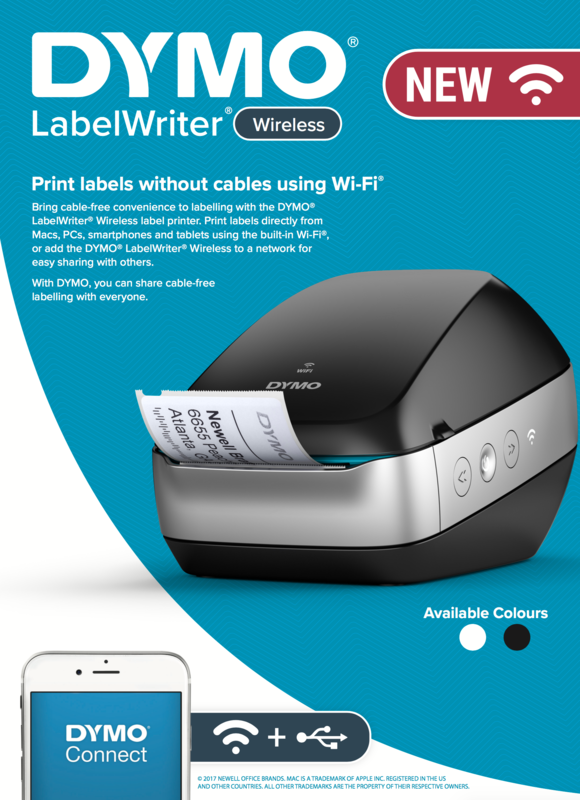 Bring cable-free convenience to labelling with the DYMO® LabelWriter® Wireless label printer. Print labels directly from Macs, PCs, smartphones and tablets using the built-in Wi-Fi®, or add the DYMO® LabelWriter® Wireless to a network for easy sharing with others. With DYMO, you can share cable-free labelling with everyone. Print you labels using wifi and no cables. Print colour is black only. 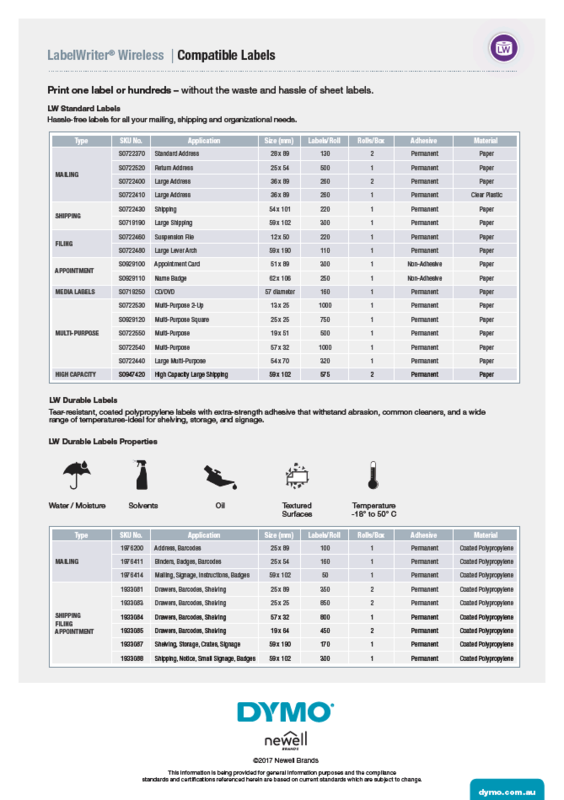 What use a Dymo Labelwriter Wireless label printer? Dymo is a trusted, robust and known brand with dedicated customer support. Absolutely love this new product. Very easy to set it up with my apple mac system and I'm able to place it anywhere I like. Thank you Dymo! Wireless connectivity is poor and drops out continually. Works fine with USB connection but wireless is useless. Would not recommend. As a very longtime user of Dymo LabelWriters I'm pleased to say the wireless version surpassed my expectations and is a superb unit. Unfortunately, can't say the same about the software which is still "clunky" and the mobile app is a complete dog. The wireless printing does not work. The computer talks to the printer however the latest dymo software v8.7.0.44412 does not talk to the printer wirelessly. It prints well if hooked up to a the USB cable just not wirelessly. Purchased 20 Nov 2017 Order 600015521.